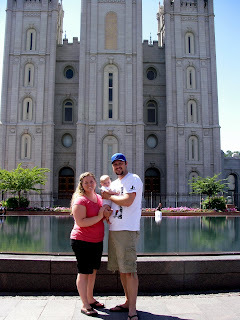 For our 3rd anniversary we went down to Salt Lake for a Jack Johnson concert and we also spent some time at Temple Square. Don't I look so angelic? 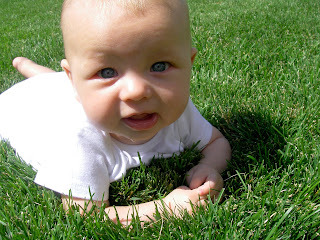 This was my first encounter with grass! 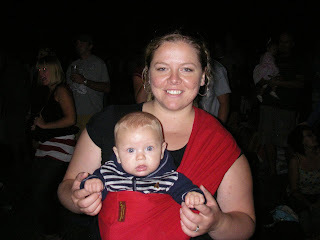 Rockin' out at the concert! 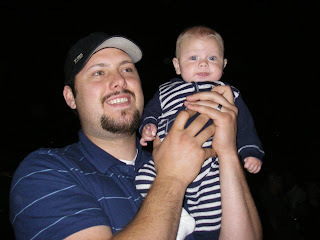 Josh loved it, he didn't cry or fuss the entire time! you all look so cute. 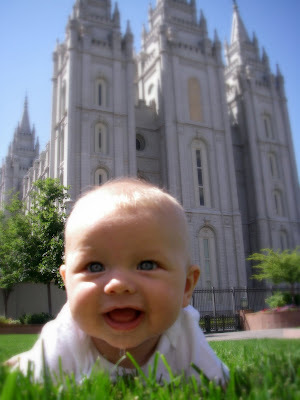 i love the temple picture! Dang that's a great picture Becky!! Josh is getting cuter by the day!! Can't wait to see you this weekend!! Love. It was so good to see you guys and meet Joshua. Thanks for taking the time to see us. 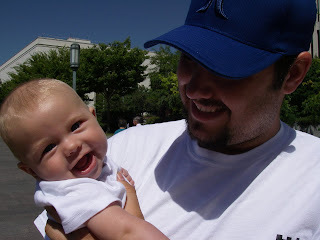 I was really happy to see your cute little boy. I'm glad to find you in the blogging world. You have a beautiful family, Becky. Its been WAY too long!